The Academy Art Museum is holding its 22nd annual Craft Show for 70 artists from across the United States for three full days in October. The annual indoor, juried Craft Show dates have moved just slightly due to construction beginning just after the show. And, to help reach an even broader audience, a third full day has been added on Friday, October 11th. The Academy Art Museum Craft Show team looks forward to welcoming artists from all craft categories and will work with artists to insure the broadest possible reach with patrons at our location as well as online. In 2019, we will again work with you, the artists, to reach nearly 250,000 people as we did last year through our social media efforts. And, for the event, we work to provide housing and meals during the show. As an artist, your participation makes an important contribution to the fulfillment of a mission at the Academy Art Museum which was founded in 1958. Now, a cultural hub of the Delmarva region for art, music, and educational programming. The Museum is accredited by the American Association of Museums, a distinction bestowed on fewer than 5% of U.S. museums for their commitment to excellence, accountability and high professional standards. We strive to build larger participation in our juried show, welcoming returning artists and selecting first time exhibitors who we believe will have success at the show. With nearly half of the participants exhibiting for the first time, we typically attract over 2,500 people to the weekend event. This year we will expand our show to invite patrons to participate all day Friday, October 11th with a show opening at 10:00 AM. We will remain open on Saturday and Sunday with a close on Sunday at 4:00 PM. The show will also include an opening night Preview Event on Thursday, October 10th. Additionally, we will again launch an online version of the show at the first of October, featuring items donated by artists. 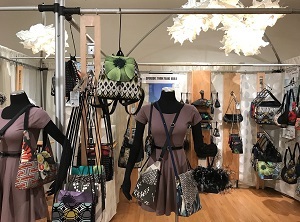 The online auction serves as the social media vehicle for sharing information about participating artists and the Craft Show’s live weekend event. The online feature last year built enthusiasm in the Craft Show and interest in the artists for weeks in advance of the show and we will work with participating artists to establish effective links to their sites. invite your live and online participation. 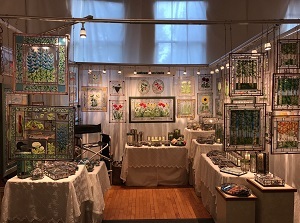 The Academy Art Museum Craft Show in historic Easton, Maryland draws patrons from across the Mid-Atlantic Region. Advertising in these market areas is done via all mediums – traditional and digital. Each juried artist will be featured on all of the Show’s social media outlets including Facebook, Instagram and Twitter. Artists juried in are encouraged to provide a short video of their artistry for use on the social media sites. The Academy Art Museum aggressively promotes the Craft Show with active social media advertising launched early in the Fall. Last year, we reached nearly 250,000 people interested in art and craft throughout our region and we will build on last year’s efforts in 2019. Why is this Show Unique? The two event locations are separated by a small street. The street is closed to vehicular traffic during the Preview Party and throughout the Craft Show public hours. Some exhibition space in the Academy Art Museum is located on the second floor. This space is accessible by stairs and elevator. The elevator measures 5ft x 4ft with a 3ft wide door opening. The Exhibition space in the Waterfowl Festival Building is elevated and accessible by either a 12-step outside staircase or via a ground-level elevator that measures 5ft x 7ft. 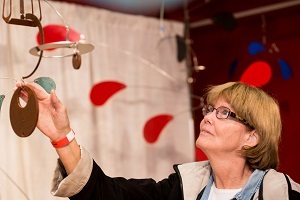 The Academy Art Museum Craft Show utilizes the online services of Juried Art Services (www.juriedartservices.com). All prospective artists must complete an online, electronic application along with the required artist’s statement and images from their current portfolio. Only applications submitted through www.juriedartservices.com will be considered for submission with the exception of special circumstances at the committee’s discretion. Open applications may be submitted between January 31 - May 16, 2019. 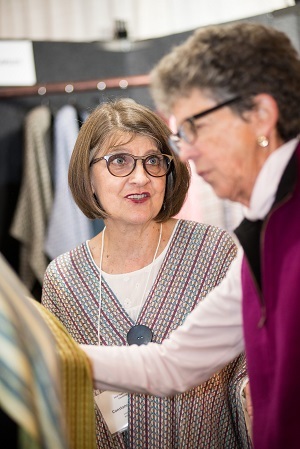 No submissions after May 16, 2019 will be considered for the October 2019 show without the Show committee’s prior approval. Please include “Craft Show Application" in the memo section. Payments are due at the time of submission. Along with the Exhibitor Application, a total of five (5) hi-res photographic images or jpegs must be submitted, electronically, per terms of the Juried Art Services website. These photographs must include four (4) pictures from the Applicant’s current portfolio as well as one (1) photo of a recent booth. Photographs from Applicant’s portfolio must include the retail price of each piece of work shown. The Academy Art Museum reserves the right to reproduce accepted entry photos for use in the Show Catalog and for publicity purposes. All artists will be notified, in writing, of their acceptance into the show by May 24, 2019. Artists will be juried into the Show based on the combined votes of the Academy Art Museum Craft Show jury committee. The Academy Art Museum reserves the right to balance the number of artists, per Media Category, in order to create the most effective and marketable Show. The Show committee may also deem several artists as stand-by and add them to a “Waitlist” should any juried artists cancel prior to the show. Waitlisted artists will also be notified of their status before June 1, 2019 date and appraised of their status on an ongoing basis as deemed appropriate by the Show committee. Upon acceptance, the artist must complete a Show Contract, which will be sent to you by the Show Committee. The contract, including the payment of the applicable booth fee, must be remitted to the Show Committee by July 5, 2019. Artists are eligible for consideration if they live and work within the boundaries of the United States and its territories. 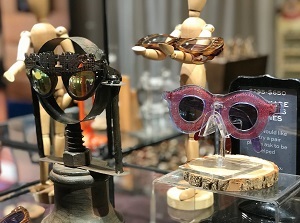 All exhibited work must be original – either one-of-a-kind or in limited edition from an original form – and made by hand using appropriate tools. Works manufactured commercially or through commercial kits will not be allowed. In addition, imported works, kits, items from kits, items made using commercial patterns, items assembled from pre-manufactured components, items made with endangered species, embellished items, tee shirts, sweats or arts and crafts supplies will not be allowed. All items exhibited must be for sale. Only items resembling the photographic images submitted as part of the Exhibitor Application may be shown. In other words, the craftwork exhibited must typify the artist body of work. Each artist is restricted to exhibiting art forms within a specified Media Category. Media Categories must be chosen at the time of Application submission and may not change once the artist has been juried into the Show. Artists may not exhibit from more than one category within each booth space. If more than one type of media is requested, the artist must submit applications for separate booths, by media type. Visionary Award – (discretionary) given to that artist who has risen to the top of their craft in design and innovation. This award may be announced prior to the show. the close of the Show at 4pm on October 13. All items must be completely removed from booths by 8pm on October 13.
foot booths, with two open sides.